The recent tragedy of Stephon Clark’s shooting has been made more public by the body cam footage released after the shooting making it clear there was little to no threat to the officers. It is also made less clear by the fact that the officers all told each other to mute their microphones after the shooting and then had several minutes of conversations amongst themselves. However, the truth is that there might be a very different story around this shooting if the Sacramento Police Department hadn’t released both the body cam footage and the footage taken from the helicopter above. These releases weren’t a department leak, nor were they really a tough decision for the Sacramento Police Department. They were required under their own rules, and Sacramento regulations, regarding police body cam footage. These types of laws have spread quite a bit in the last several years. 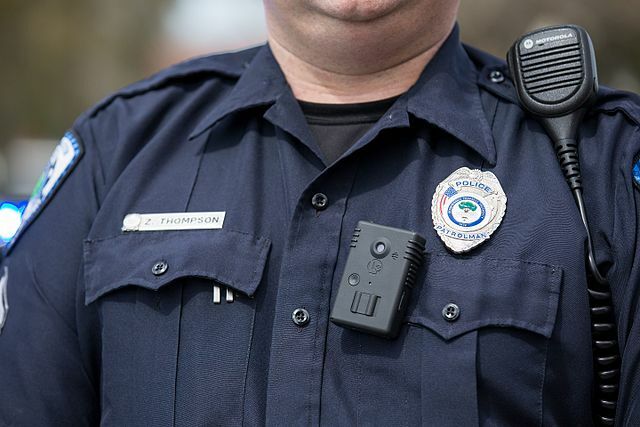 This is largely due to action from former-President Obama in 2014 offering federal grant money for police body cam programs that met certain requirements. The number of police shootings, especially of black men, had drawn–and frankly continues to draw–an enormous amount of criticism. This program was part of President Obama’s response to this criticism–although it is obviously not a solution. For Sacramento’s part, they put quite a few rules in place as city policy back in 2016 after the fatal shooting by police of a mentally ill black man named Joseph Mann. The incident saw police attempt to strike the man twice with their vehicle before getting out and shooting him upwards of 20 times. This incident led to both substantial reforms in the department and new rules on police cams–most notably a requirement that all Sacramento patrol officers wear body cameras. These body cam rules are crucial both for police to protect themselves from false accounts or defend their actions and for the public to protect themselves from police misconduct. However, the laws differ substantially from state to state and there are no federal rules on the topic. This means it’s important to know how the rules work where you live. In the next several days, we’re going to take a bit of a deeper dive than usual into this topic considering Mr. Stephon Clark’s tragic death. Today, we’ll start with the actual events of the shooting caught on film as well as the rules on body camera’s in Sacramento. However, keep an eye out for upcoming information on existing body camera rules work in every state across the nation. The actual shooting of Stephon Clark is all caught on camera through the two body cameras of the responding officers and a camera from a helicopter. Responding to a call regarding vandalism in the area, they enter the backyard of Mr. Clark’s grandmother, one of them with their weapon drawn. The video shows one officer around the corner to the backyard, spot Clark, and immediately yell at him to put his hands up. Seconds later the other officer rounds the corner and yells “gun.” Shouts of “gun!” fill the air, Clark is told to freeze, and the officers nearly immediately shot at Clark twenty times-hitting him eight times. They then call for backup and walk up and handcuff the still form of Stephon Clark. The item they believed to be a gun is visible during the handcuffing process–a rose-gold smart phone with a money clip on the back. Stephon had borrowed the phone his girlfriend–the mother of his two children. Clark is left on the ground for around six minutes until backup shows up. The officers come together to talk about what has happened and one officer tells the others “hey mute.” The officers all mute their bodycams and the rest of the video is silent as they speak to each other and at least one Sacramento citizen. Clark was pronounced dead at the scene. Since the shooting, demonstrators have taken to streets and appeared at city hall to protest the actions of the police. What are Sacramento’s Body Cam Laws? The events recorded here are awful, but the release of the footage of the incident is crucially important to give the public transparency on the issue. The release of all this footage is in line with Sacramento’s Body Worn Camera policies, requiring police to release videos of “critical incidents.” Critical incidents include quite a few things, such as shootings involving officers and deaths while in custody. The video of such an event may be released within 30 days of the incident under Sacramento’s rules–although Chief Daniel Hahn (the first Sacramento police chief) released the footage much quicker than that. This has been a trend for Chief Hahn, one would assume to focus on transparency. The Sacramento Body Cam Program benefited from a Department of Justice grant under former-president Obama’s federal program and has been ramping up for a few years now and finally implemented body cameras for police last year. The policy itself on their use, however, has been in place since 2016. The policy requires the cameras to be activated during sobriety tests, vehicle stops, any sort of pursuit, warrantless searches of vehicles, incidents with suspected suicidal individuals, any call involving reportedly involving weapons or violence, executing a search warrant, giving Miranda rights, any incident involving protests or civil unrest, and a few other situations. There is also policy on when a camera may be deactivated. Some situations are simply sensible, low battery life or when a witness or victim doesn’t want to be recorded. Quite a few are simply a matter of officer judgment, such as where it might interfere with an investigation or be inappropriate due to the condition of a victim or witness. There are additional provisions in the policy–all media must be downloaded at the end of shifts, only approved body cams can be used, cameras must be worn for the entire shift. There are provisions on damaged gear, reporting recorded events, when the recordings can be reviewed, and more. However, there are absolutely no rules on whether muting a camera constitutes deactivation or muting in general. What Can Be Learned from This Tragedy? As we’ve seen from much of the reaction to Stephon Clark’s tragic death, the officers choosing to mute their cameras has drawn quite a bit of mistrust from the Sacramento community as opposed to the intended impact of body cams–transparency and public trust. This doesn’t mean body cams are a bad idea. While the majority of police seek to protect the public, the stories of police misconduct are widespread and do not come from nowhere. These body cams, and the laws and policies around their implementation, are an important step towards much needed transparency and accountability. However, what the muting incident does reveal is that a lot of body cam law and policy has not caught up to the twists and turns of what needs to be addressed when it comes to their use. The Sacramento Police Chief has already lamented the mistrust the muting incident has caused and said that it is an oversight in their policy that they will need to be addressed. To be honest, there is a lot that needs to be addressed when it comes to the use of body cams nationwide. The Sacramento policy also lacks much in the way of repercussions for breaches–unauthorized attempts to tamper with, erase, or alter a body cam or its recordings are described as “employee misconduct” by the policy. There’s no guaranteed repercussions for this–although perjury and destroying evidence carry their own punishments. However, simply improperly turning off a camera–never mind muting it–is not even particularly likely to result in a firing. There’s no evidentiary repercussions–such as a presumption against police testimony–associated with such actions. This is true in many states across the country, not just Sacramento. Law continues to develop from state to state, however, many issues such as how a camera affects what’s in plain sight during a search, whether the recordings are subject to public disclosure, and more remain unaddressed. But the last few years have seen substantial movement on laws discussing the use of body cams. Later this week, we’ll get into how these laws apply in each given state.